In the past couple of months, I've been really consistent in taking fish oil supplements daily. It really all started when I did the Grain Brain Challenge in November. Prior to the challenge, my head was feeling rather cloudy or cluttered and I was having a hard time focusing on paperwork at school and managing family life. To describe this feeling as overwhelmed is an understatement. I was sinking and I was sinking fast. However, I started taking the fish oil supplements in within a couple of weeks, I started noticing that my ability to focus on these tasks were improving, drastically. I've been taking 1000 mg of Omega-3's every single day for the past 7 weeks and more specifically, Wiley's Fish Oil for the past 4 weeks. Honestly, I've never felt more focused. However, feeling focused isn't the only benefit of taking Omega-3s. How does Wiley's Finest Wild Alaskan Fish Oil stand out above the rest? The Wiley Family delivers their customers with the finest Fish Oil Omega-3 concentrates in their family owned and operated facility in Coshocton, OH. All products from Wiley's are 100% US produced and and sourced. Wiley's fish oil are made from US wild-caught Alaskan Pollack and Pacific Whiting Fish. They only use fisheries that are certified as sustainable by the Marine Stewardship Council (MSC) and are considered the most well managed fisheries in the world. 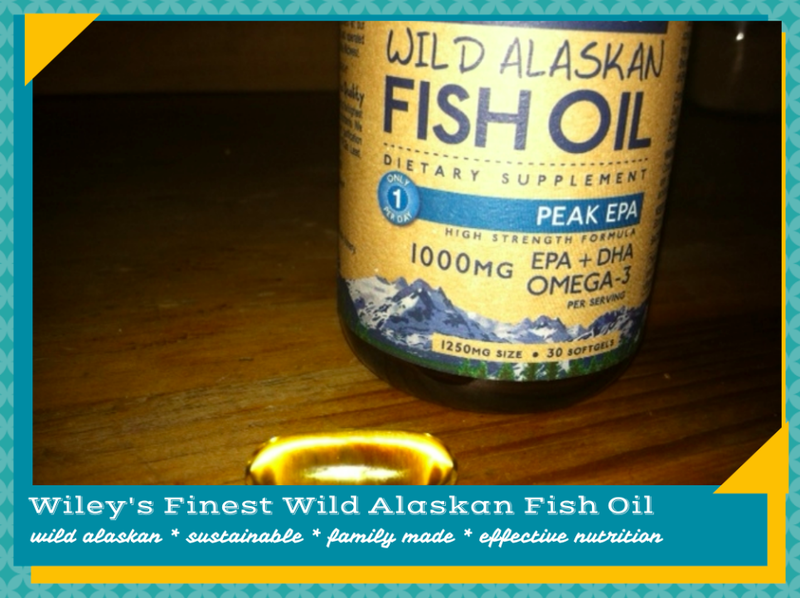 Wiley's registered AlaskOmega® concentrated Omega-3 fish oil provides people with a potent doses of the essential fatty acids EPA & DHA Omega-3's in every single serving. Wiley's products are also tested by a 3rd party - the NSF (the Public Health and and Safety Organization) for purity and quality. 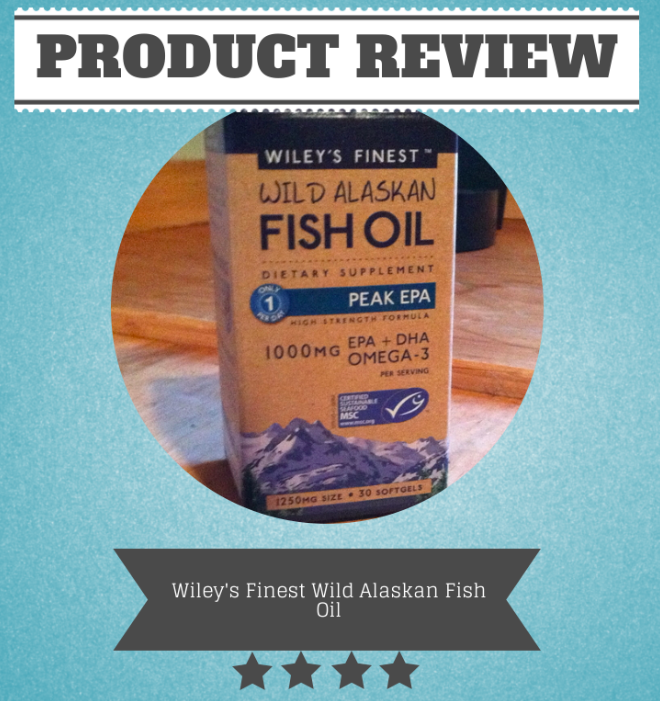 While maintaining a high quality product, Wiley's also worked hard to make their Omega-3's available to their customers at a very affordable price. You can purchase Wiley's here. If you enter the promo code BLOGGER at checkout, you'll save 20% on your purchase as well! Do you take fish oil supplements? Have you noticed a difference? Nice article! I thought it was filled with great information. if you found it interesting you may want to check this out as well. Fish Oil is my BFF. I notice a huge difference. I give it to my kids too. Never heard of this brand. I like the fish oil liquid versus the pills. I forget to take it, though! I hadn't heard of them before either. But now I love them! And the kids take fish oil as well. Very very important!!! But those prenatals are pretty awesome! I've never tried fish oil. How is it? I do believe taking fish oil makes a big difference! I do take fish oil but honestly I cannot say I notice a difference cause I have been taking it for years!